It's not just a cookie, it's a cookie experience. Our love of baking goes back many generations! Our personal recipe collections are filled with favorite family recipes from our mom, dad, grandmothers, great grandmothers, aunts, and cousins. To honor the quality of our family recipes, we make sure to bake our cookies fresh daily from scratch using only the finest ingredients with absolutely no preservatives added. The quality of our cookies provide our customers with fresh, thick, soft cookies that give them a truly sweet experience. Our signature cookie where it all began. It is chewy gooey greatness made with fresh eggs, butter, tons of chocolate and pecans. 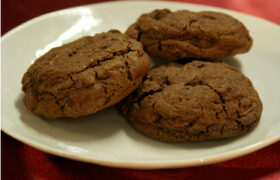 Our signature chewy gooey cookie without crunchy pecans. Sure to put a smile on your face. 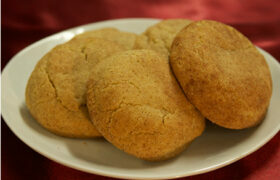 A soft and chewy cookie made with fresh butter, eggs, and vanilla then rolled in sugar cinnamon. 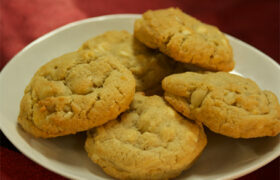 A heavenly and decadent cookie made with fresh eggs, butter, large chunks of macadamia nuts and white chocolate. 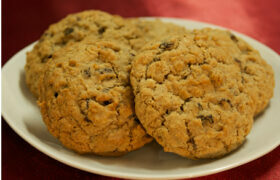 A classic - Our oatmeal raisin cookie is moist, chewy and loaded with rolled oats and raisins. 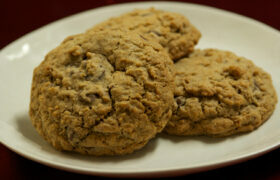 Our oatmeal raisin cookie with wonderful walnuts added. 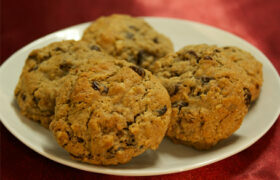 Our Oatmeal Chocolate Chip are filled with rolled oats and chocolate chips and just right with a glass of cold milk. This is a cookie for chocolate lovers. An ooey gooey cookie with a double dose of chocolate cookie and chocolate chips. 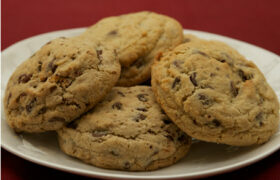 Order our cookies online and have them shipped right to your door! Fill out the order form by clicking the button below or order by phone at 903-561-7733. 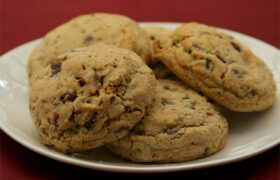 Orders are shipping Monday, Tuesday, and Wednesday and require 2nd day shipping to ensure the quality of our cookies. Each dozen is only 28.00 each!